A didgeridoo is a type of musical instrument that was created by indigenous Australians more than a thousand years ago. It is a long, wooden instrument that is conical or cylindrical in shape, and is made out of hardwood or bamboo. Playing the didgeridoo is an alternative sleep apnea treatment that is not widely known by most doctors and patients. Does the Didgeridoo Really Cure Sleep Apnea? Certain studies have shown that playing the didgeridoo actually helps manage sleep apnea symptoms and is able to get rid of it completely. One study, which involved 25 patients with moderate sleep apnea, was published in the British Medical Journal. In the study, participants were divided into two groups, where one group was told to undertake lessons and daily practice playing the didgeridoo, while the other was not allowed to play the didgeridoo. Participants from both groups weren’t on any kind of medication or therapy for their sleep apnea, and did not have significant differences in lifestyle. The results of this study were very promising. There was a significant improvement in daytime sleepiness of participants in the didgeridoo group, as well as a reduction in the number of apneas the participants of the same group experienced. Also, the partners of these participants also reported better night’s sleep as there was less disturbance from snoring and apneas. On the flip side, there wasn’t much change in the control group. You can read more about this study here. Another study involving aborigine high school students in Australia who were asthmatic found that encouraging didgeridoo playing through weekly lessons helped improve respiratory function in these students. The students also found that these sessions were engaging and easy to keep up with, and helped them manage their health better. Learn more about this study here. It’s for this reason that the US National Institute of Health encourages didgeridoo playing as an alternative form of sleep apnea treatment. Playing the didgeridoo requires skill. 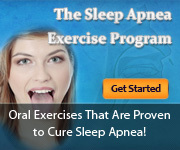 It is this required skill that makes it an excellent sleep apnea remedy, because as you learn to pick up this skill, you will strengthen the muscles of your upper airway. This skill is called circular breathing. The circular breathing pattern used to play the didgeridoo forces the upper airway muscles to work harder and tone up. And as you may already know, collapse of the upper airway muscles during sleep is one of the main reasons behind sleep apnea. By strengthening these muscles, your airway does not collapse while you are asleep, which can lead to improvement in – or outright elimination – of sleep apnea. Also, the circular breathing used when playing the didgeridoo encourages deeper breathing, and makes one breathe right into their abdomen rather than shallowly into their chest. This breathing pattern becomes a habit over time for the didgeridoo player, and may possibly help reduce the number of breathing pauses by sleep apnea patients. Who is Didgeridoo Therapy For? While effective to some degree, not all sleep apnea patients can benefit from didgeridoo therapy.Only those suffering from obstructive sleep apnea can reap the benefits of this alternative treatment since didgeridoo playing targets the strengthening of the tongue and throat muscles. Sleep apnea patients with varying severity of sleep apnea, especially those with mild to moderate sleep apnea. Patients with sleep apnea caused by collapse of the upper airway muscles, or those caused by respiratory function issues (asthma, bronchitis, lung infection, etc). Sleep apnea patients who don’t want to use the CPAP mask and are looking for other alternatives. Sleep apnea patients who love music and would find playing the didgeridoo an enjoyable activity which they can consistently perform.